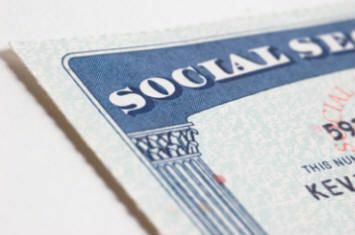 Our Social Security practice provides legal assistance to clients throughout Georgia with Social Security Disability claims. Social Security Disability (SSD) provides financial support for people who are physically or mentally impaired and unable to work for one year or more. Every case is unique and other factors might be considered during a Social Security benefits hearing. Your social security lawyer can help you prepare for the hearing and ensure you are treated fairly. The Social Security Administration has an objective system in place to review applications for benefits. Benefits are only paid for total disability, not in cases where someone in partially disabled or only in need of short-term support. Recent updates to the system now include compassionate allowances. This means an applicant automatically qualifies for benefits as soon as a diagnosis is given. A computer screening process has also been instituted that allows for quick disability determinations when an applicant has a high chance of qualifying. Applying for Social Security Disability benefits is a legal process and can be complicated. This is especially true when you are dealing with health issues and financial concerns. A social security lawyer will help you with the process and alleviate much of the burden. Statistics show 70 percent of Social Security disability applicants initially have their applications denied. An attorney can help you avoid the initial denial or fight for what is rightfully yours if you are denied. If a denial is issued, you have a right to appeal your claim. A Social Security attorney will assist you with the filing of a successful appeal and protect your right to a fair hearing. As an experienced Social Security law firm, I will help you build a strong case that supports your claim. My team and I will gather your medical records and cross-exam the vocational experts called to testify at your hearing. Overturning a Social Security benefits denial is extremely difficult – often impossible – to do unless you have the support of an experienced attorney. We assist clients with disability claims, SSI claims, and adult and children cases. If you or a loved one is dealing with injuries or an illness that make it impossible to work, or you have had a Social Security disability claim denied, we can help. Contact us now for a free consultation!